Come check out our selection of our bulk garden seed! The chick list for 2019 is here! Check it out! 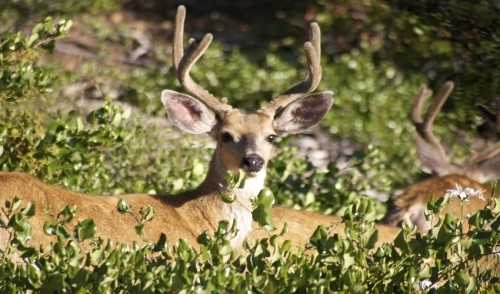 Share "Strategies and Tips for Hunting Whitetails"
Deer hunting season is almost upon us. Many hunters are already visiting their local outdoor shop to pick up the essentials they will need to catch that prized buck near the end of the season. 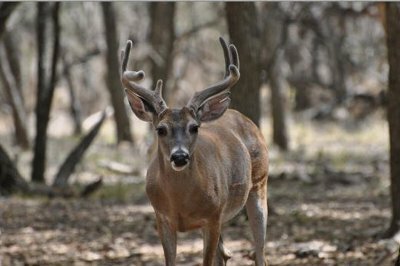 Before you head out into the woods seeking adventure and the glory of a buck to hang above your fireplace, follow these tips and strategies for hunting whitetail deer. Hunting starts with the proper equipment. Aside from picking the right weapon of choice that you are comfortable with, you are going to need proper clothing and equipment to track and hunt deer. Here are the basics of what you’ll need. Start with a nice set of camouflage. Be sure to pick camo that is going to increase the successfulness of your hunt so plan accordingly. Second, be sure to also buy a decent pair of insulated nylon boots. These will help keep you warm and they are low maintenance. Depending on the weather forecast for your hunt you may also require extra layers or a hot seat. The last piece of gear you will need to hunt whitetail deer is binoculars. Let’s face it; most of your time hunting gear will actually be spent waiting. With the right pair of binoculars, you’ll be able to spot deer before they’re in range and save yourself some time out in the cold. To hunt whitetails, follow these three hunting methods. It doesn’t matter how good you can shoot, how fancy your gear is, if you can’t hunt properly you will never catch any game. There are three common methods of hunting you should use to hunt whitetail deer. The first method is stand hunting, which is done by patiently waiting where deer like to travel. Depending on the terrain, this is the most common method of whitetail deer hunting. This method can be done on both the ground and in an elevated position within a tree. Tree stands are usually placed 8-30 feet above the ground and placed at the edge of crops so that deer are lured close. The second method is known as still-hunting. Try to set a good food plot to attract deer, and then walk along the edge of a field or through the woods. Repeat this process as often as necessary and be sure to stay out of sight as often as possible. The third and final method is to use scents and decoys to draw in deer for a successful shot. Bow hunters often use this method because if done properly it provides a clear shot within range. It can also be combined with stand hunting. Proper hunting always begins with a plan of attack. Have hot food plots set up around your hunting area, track efficiently, and move in to shoot. Try to avoid pushing the deer away by not covering your blinds effectively or picking a visible tree stand location. Set up multiple spots around the woods so that you can have a clear shot and conceal your odor using a cover scent. Masking your own scent is a good means of giving yourself a better shot at that trophy buck. Every hunter has their own preferences to weapons, gear, and method of hunting. Choose what works best for you on your hunt and be sure when pursuing game to follow government regulations, which are determined by each state. © 2019 Clearbrook Feed and Supply. All rights reserved.